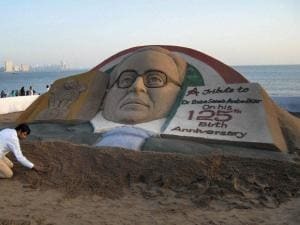 Sand artist Sudarshan Patnaik creates a sand image of Babasaheb Bhimrao Ambedkar on the eve of his birth anniversary at Girgaon Chowpatty in Mumbai. 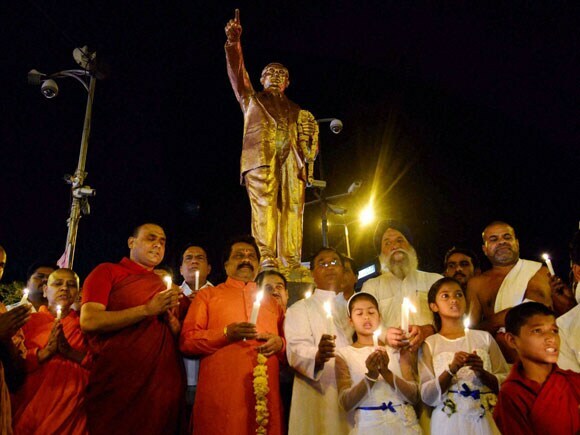 Buddhist monks with all regions priests paying candle light tribute to B R Ambedkar on the eve of his 125th birth anniversary, in Bhopal. 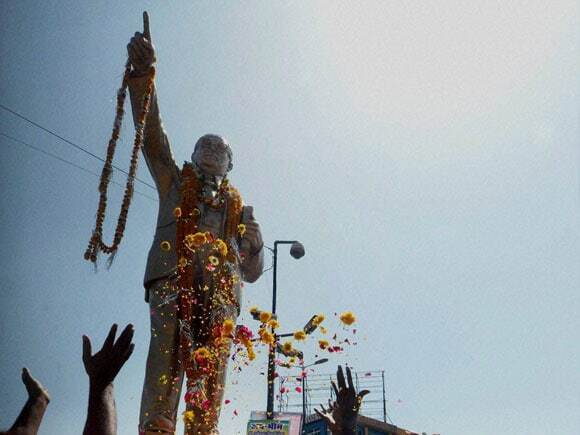 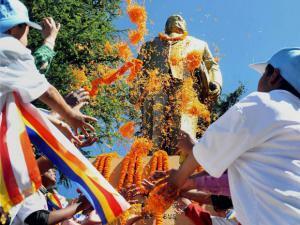 A BJYM member cleans a statue of Bhimrao Ambedkar with milk on the eve of his birth anniversary in Bikaner. Buddhist monks and other devotees paying floral tributes to the statue of B R Ambedkar on 125th birth anniversary of the leader in Bhopal. Children paying homage to Bhimrao Ambedkar on his 125th birth anniversary in Shimla. 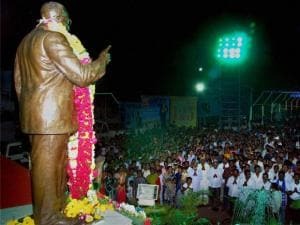 People take part in Buddha Vandana programme organised on the occasion of 125th birth anniversary of BR Ambedkar in Karad, Maharashtra.